I am very excited today to have guest author Victoria Gray with us! I've read her debut novel, and it is fabulous! I was lucky to meet Victoria several years ago and last year sat with her at the Hearts Through History breakfast at RWA Nationals. She is an up and coming author to watch with a talent for vivid writing, a knack for historical detail, and spellbinding characters. For the most part, writers of historical romance strive for accuracy in capturing historical events and characters. Can the same be said of Hollywood? I’d suspect that ninety-nine percent of book editors would run screaming from a plot that featured a beautiful, tempting Pocahontas and a very studly Captain John Smith…after all, history tells us that Pocahontas was about seven when Smith and his crew landed in Jamestown in 1607. The New World, starring Colin Farrell as Captain John Smith (who obviously was not cast due to a striking resemblance to the legendary colonist) highlighted the romantic attraction between Smith and a teenaged Pocahontas, portrayed by a striking young actress, Q’orianka Kilcher. Hollywood has always taken liberties with the truth...huge liberties, in some cases. 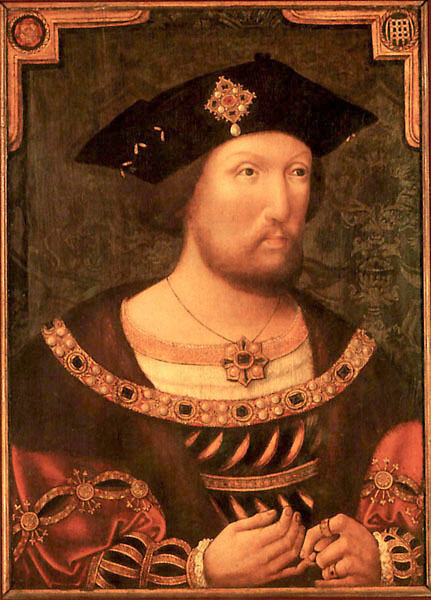 Henry VIII is portrayed as a studly hunk in many films, not a gout-ridden, portly monarch. Of course, some would say that Henry was not always fat and was known to be rather athletic in his youth, but how on Earth did anyone decide to cast gorgeous, dark Eric Bana as the monarch in The Other Boleyn Girl ? The portrait of Henry VIII in his twenties shows a man who certainly would not have made a girl lose her head (yes, I know…such a bad pun) if he were not a monarch. Of course, The Tudors casting of Jonathan Rhys Meyers isn’t any more visually accurate, although I think he captures the moods and manipulations of Henry far more convincingly than hulky Eric Bana (yes, another bad pun), who came across to me as a rather dull-witted monarch. I could go on and on about Hollywood’s historical inaccuracies. Bonnie and Clyde portrayed the notorious bank robbers as lovers on the run, not the cold-blooded killers they were. Braveheart depicts a kilt-clad Mel Gibson even though kilts weren’t worn in Scotland until about three hundred years after William Wallace died. More remarkably, the film depicts Wallace as the father of Edward III, who was born seven years after Wallace’s death (and I thought nine months was a long time to be pregnant). Mel was at it again with The Patriot, in which he almost single-handedly wins a battle that history recorded as a win for the British…a minor detail, I suppose, in the minds of Hollywood. Gladiator’s villain, Emperor Commodus, was certainly not a nice guy, but it’s believed his father died of disease, not at Commodus’ hand. Commodus was murdered after ruling for more than a decade…in his bathtub, not fighting in a gladiator’s ring. I suppose a guy dying in his bathtub would not have created the heroic ending the folks behind Gladiator were looking for, and as I adore Russell Crowe, I’ll forgive this particular inaccuracy. What about movies that got it right, or at least, close to right? Are there any? Tombstone and Wyatt Earp might have played loosely with the truth and selectively omitted some of Earp’s less than favorable qualities, but both films portray the era with a feel for the times. Plus, Tombstone has Michael Biehn as Johnny Ringo...I just love the actor in that character and root for the villain, much to my husband's chagrin. Cinderella Man is more of an essay about the hardships of the Depression than a boxing movie, and Russell Crowe depicts Jim Braddock with a feel for the desperation of a man during those times trying to keep his family afloat. The Untouchables, while depicting Eliot Ness and his men as almost saintly, does capture the flavor of the times while depicting the truth…all the gun power in Chicago couldn't bring Capone down, but crooked income tax returns did. Public Enemies, which portrays John Dillinger and Melvin Purvis, flaunted some aspects of history, but the film and Johnny Depp's portrayal of Public Enemy #1 captured the era and the appeal of Dillinger to the masses. What do you think of Hollywood’s view of history? Could authors get away with the gross inaccuracies sometimes found in films? Leave a comment for a chance to win a digital download of Victoria's new release, Destiny. 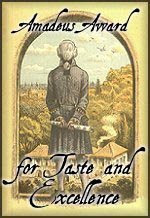 Victoria Gray developed a passion for writing as soon as she could hold a pencil in her hand. Now, with her ever-present laptop computer replacing her pencil, she is passionate about writing love stories that capture the essence of hope, courage, desire, and that powerful spark of recognition that ignites when lovers discover their true soul mates. She especially enjoys writing historical romance that celebrates American heroes and stories that touch on our country's fascinating history. Very interesting. I know Hollywood cheats, but I DO love the hunks rather than gouty, fat old men, lol. I think it's sort of like writing novels when we take some of the truth and make up the rest. I think it was Nora Roberts who said authors need to be good liars.Love your cover and title. Great post, Victoria! We've known for year Hollywood played fast and loose with history. Remember Scarlett O'Hara in her short-sleeved gown. Only a child would have worn such a dress during the daytime. But some movies have got it right. One of my favorite Civil War movies is Glory. It doesn't sugar coat, just tells it like it was. Best of luck with your new release!! Always glad to see more authors penning Civil War romances. I agree with you, Kathleen, about casting hunky guys rather than men with gout, but why do they have to shred the history? Sometimes, it seems quite arbitrary. Susan, I also thought Glory was terrific with a gritty, realistic portrayal of the sacrifices soldiers made. I'm hoping Civil War romance will come back in favor...frankly, I'm tired of nothing but dukes and viscounts - there's definitely something to be said for an old-fashioned American hero. One of my contemporary manuscripts had me looking for a wedding dress from the early 1900's. What I had envisioned (probably from some old Hollywood movie) and what I found were too different things. It forced me to change what I was writing. Did anyone really think that contemporary writers get away with not researching stuff? I do hope that one day Russell Crowe buys one of your books and asks for YOUR autograph. I want to be there and watch you attempt to sign your name so that it actually looks like your name. Destiny is a great story! A must read romance. If Russell Crowe asked for my autograph, I wouldn't be able to sign my name...I'd be passed out cold on the floor. Speaking of Russell Crowe, Robin Hood was a wonderful adventure - my knowledge of medieval history is sketchy at best, so nothing jarred me out of the movie. I always wondered how Hollywood could get away with it. I thought they never worried that people would know the truth. Disney had to release Pocahontas 2 to correct their "version" of the Pocahontas story. That I found humorous. When I write my historicals, I try very hard to stick close to the truth when talking about real figures. Great blog. And I don't know how I feel about this. Usually, I will accept liberties being taken if the story is way in the past and whatever is wrong doesn't relate to some underlying assumption about the time and place. That said, there are a couple of things that drive me nuts. Fake medieval English sends me up a tree. No idea why. I wouldn't understand what those folks were saying if I ran into them so it's not like I want the real thing. But, to me, some of the movies with settings in 'castles' are kind of like the bar scene in Star Wars. Only I liked Star Wars better. The other thing that makes me crazy is anything approaching my lifetime---or in my lifetime---that I know is false is faked. For me, Forrest Gump was wrong on so many levels and, yes, I know, a lot of people loved it. I thought the Deer Hunter was good but the characters were way too old. That move should be remade with people who are 17-20 years old. Try watching that. You get the idea. Fortunately, my family is able to tune me out when I go on a tirade! Speaking of the age of characters, that was probably the biggest fault I found with Robin Hood. I adore Russell Crowe, but honestly, he was too old for the part, as were most of the other actors in the cast. Robin Hood would have been a man in his late twenties to mid-thirties, even if you assume he'd spent 10 years at the Crusades, not a man in his mid-forties. And Cate Blanchett's Maid Marian was supposed to have been married for 10 years...are we to believe a woman in those times wouldn't have married until she was 30? I noticed the other men in Robin's "band" were all in the same age group, with salt-and-pepper hair. This would have been a movie that could have used a younger actor, particularly since it looked as though this is intended to be the start of a series. I don't mind a few liberties, but sometimes, they just don't make sense to me, such as with "The Other Boleyn Girl". Sure, Henry VIII wasn't always a fat old man, but couldn't they find an actor who looked closer to what Henry VIII did as a young man. Eric Bana is the classic tall, dark and handsome type, words that would not have described Elizabeth I's father. When they cast actresses to play Elizabeth, they seem to hit the mark better. Cate Blanchett captured the essence of Elizabeth and had a similar physical character. Imagine if they'd cast Cameron Diaz or Angelina Jolie as Elizabeth...it would be about the same as Eric Bana playing Henry. 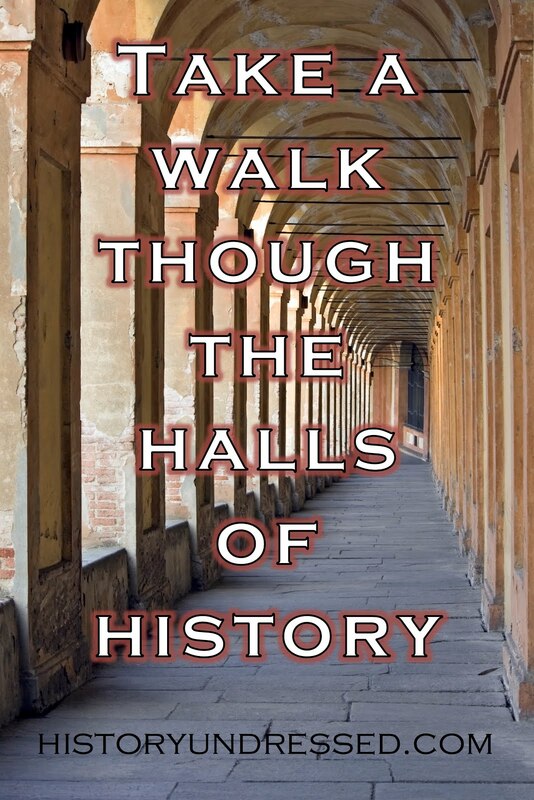 Do you follow Seduced by History? That's another great blog if you love history. Eliza and I are monthly contributors to that blog. Great topic! And congrats on the new release! In addition to writing romance, I am also trained as an historian in early American history--so I loved your Pocahontas and Patriot examples. You've detailed the examples of inaccuracies, and the list could be far longer, but the potential upside that historians talk about is, despite the inaccuracies, historical films have the potential of raising people's interest in history, and hopefully sending them out to want to know more (from hopefully more accurate sources). Studies show that less than five per cent of people will do any actual historical study beyond high school, so, as a community, historians try to support anything, even popular portrayals of history that aren't always worried about accuracy, that stimulate people's interest. The ironic thing about these inaccurate movies is that they almost all hire historians as consultants, and I've known quite a few who have worked in that capacity...and then been largely ignored or contradicted by the director and producer. So having thought about this issue a lot from the history side, it's really interesting to me to think about it from the historical romance side. Great topic! Thanks for your comment...you made some great points, such as the potential of these films to stimulate interest in history. What really worries me at times is how little people know about history and how willing they are to view movies as documentaries of sorts. I once worked with a teacher who wanted to show her fourth graders "National Treasure" because it featured the Declaration of Independence...egads! Absolutely Victoria. What? National Treasure's NOT real? There's no hidden treasure? Damn. That's why I got into this history business in the first place! As a teacher, one of the fruitful things about inaccurate movies is getting students to research the difference between the Hollywood portrayal and the actual history. But, you're right, regular people don't have that kind of structured opportunity for critical analysis. I think there's a good deal of pressure to insure accuracy, even in terms of dialogue. You have to be careful to avoid idioms that would not have been in use during a time period. The Online Etymological Dictionary is a great source for this. For example, in my second historical, I'd included the term "sucker punch" in my draft. Upon further research, I discovered the phrase wasn't in use until the twentieth century. So out it went. I'm a teacher/librarian by day - I spent years teaching fifth grade, and now work in an elementary library. I'd love to work with older students to compare/contrast. I've done that at times with my fourth and fifth graders, but there are limited opportunities to delve into this with all of the other curriculum demands. As a movie buff, I understand that movies are meant to be entertaining, but it mystifies me that producers seem to want to toy with the facts simply because they can. I would still prefer historical accuracy in the movies. If you cast Henry VIII accurately, it casts a different light on his actions. If you want fantasy history, go for it. If you are presenting a movie about real people and events, please keep it accurate. Pretty it up a little if you want, but keep it accurate. If an author is writing serious historical fiction, they need to research well and keep it accurate. Fun or light historicals can have fun with the periods they are set in, but still need to stick close to at least the basics of the era in which they are set. The movie KNIGHTS TALE is a good example of having fun with a movie and still keeping the history. I talked with a member of a Creative Anachronism group Who told me the reenacting community was split. The purists were offended by the Queen sound track (which is wonderful). Most were pleased with the historical details stuffed into the movie. It is a wonderful teaching tool, if you are careful (beware of the naked man), but many details are subtly included. Those watching the movie learn something in spite of themselves. Every time I watch it I catch another little detail. I've never seen a Knight's Tale (hanging my head...can't believe I haven't)...will definitely put it in my online rental queue...or better yet, maybe they have it on streaming :) Thanks for sharing...I agree with you wholeheartedly about sticking to the basics. 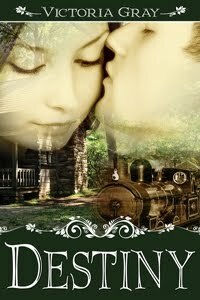 Library Pat - Please contact me so I can send you the pdf of Destiny. Email me at victoriagrayromance@gmail.com . Hope you enjoy it!